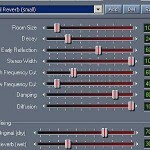 Tags: Using reverb effects in mixing, Vocal recording and mixing techniques. Someone asked me to review the quality of vocal mixing on one of their songs. This client is still new to audio mixing and constantly looking for the best vocal processing effects and reverb that can be used to the track. But, the client is not sure how to produce the best vocal sound out of the mix and need some guidance. So the client sent me a sample mix of the original vocal mixing in mp3 format. The background instrumentation has been done entirely with a software (no live music instrumentation). That works well except that client is unsure how to mix the vocals particularly adding reverb to it. 1.) Simple listening reveals that the vocal is too strong with respect to the background instrumentation. 2.) Too much reverb has been applied on the vocals. It does not match with the background instrumentation or the entire track as a whole. 3.) The vocal does not sit properly with the mix, indicating that it has not been applied with proper EQ and compression settings. 5.) 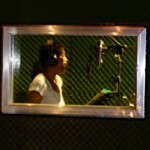 The vocal quality and recording is good only that it needs more work in the mix to make it sound right. When I have original vocal recording wav file; I provide him a sample of what a vocal mix would sound good according to my ears. Step1.) 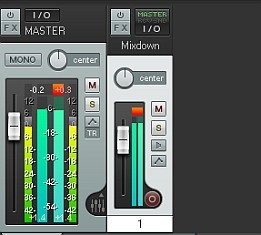 Load the vocal recording in Reaper DAW as well as the minus-one background instrumentation. I then add a volume envelope to automate the control of vocal volume throughout the track. For example, I apply silence before the start of the vocals to remove unnecessary background noise. Then I also apply silence in between the long pause of the vocals for the same purpose. This would allow me to non-destructively edit the vocal volume. Balancing the vocal volume with the instrumentation is then done by adjusting the faders as enclosed inside the yellow box. 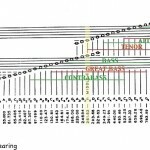 I then look at the master level meters to make sure there is no clipped signal throughout the track. Step2.) I only apply 3 effects. The vocal reverb has been placed at the last. And in this example, I am using a Focusrite reverb plug-in. I then apply a vocal compression using Waves C4 mono effects to balance the weak and strong section of the vocals. It is using the pop vocal preset. 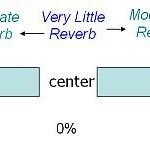 The reverb is using a small bright room presets which will apply a very small amount of reverb to the vocal track. This is the setting I used.